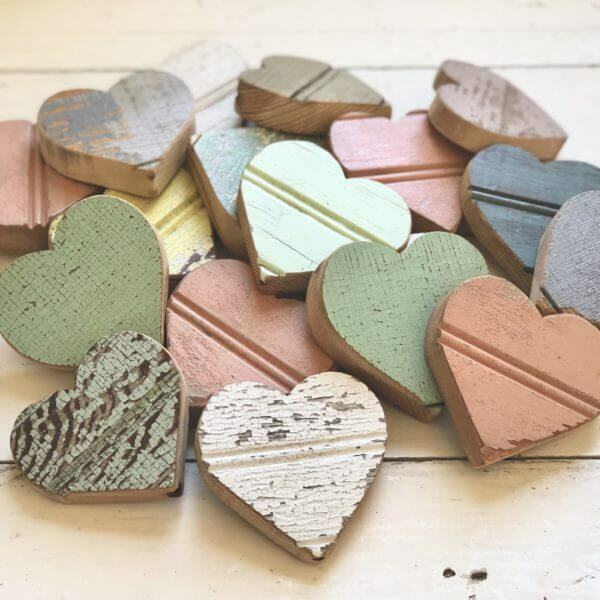 Skräp heart magnets made from an assortment of reclaimed wood. They are of natural color and patina, full of character and imperfections. A perfect little something to hold up your favorites. Sold in sets of 3 and 5.